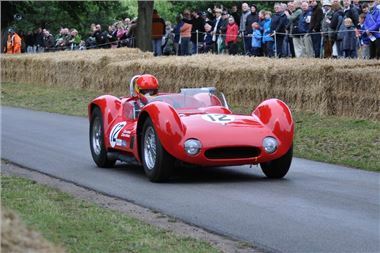 The Cholmondeley Pageant of Power, the UK's most interactive day out, is set for an explosive return in 2012 with a host of new hands-on attractions and features to thrill diehard petrolheads as well as families looking for an unbeatable fun-packed day out. Early-bird tickets are now on sale and prices have been discounted compared to 2011. Adult day tickets are available from just £18 (Friday), with a ticket to see all the best action on Saturday or Sunday now just £24 - a 25 per cent reduction on last year's price. With under-16s tickets also currently available free of charge, the Pageant of Power promises fun for all the family at highly attractive prices. Now in its fifth year, the 2012 Pageant will take place on the Cholmondeley Estate in Cheshire from 15 to 17 June, celebrating power and performance in its many forms. A full event schedule and list of participants will be announced over the coming weeks, with Pageant organisers set to reveal some exciting new additions and features for 2012.
in the action. The Pageant of Power will be bigger and better in 2012, consolidating its reputation as a must-attend event."